Welcome to these Success Quotes of the Day from my large collection of positive, romantic, and funny quotes. for his opportunity when it comes. The only roadblock to success is limited thinking. we have applied the best of ourselves to the task at hand. that you are capable of becoming. but to move ahead, to go up, to achieve, to conquer. lose as if you enjoyed it for a change. than to ask for permission. Luck is preparation meeting opportunity. 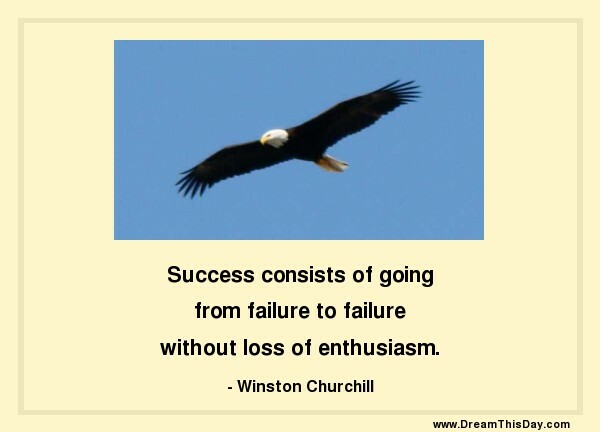 Thank you for visiting: Success Quote of the Day.